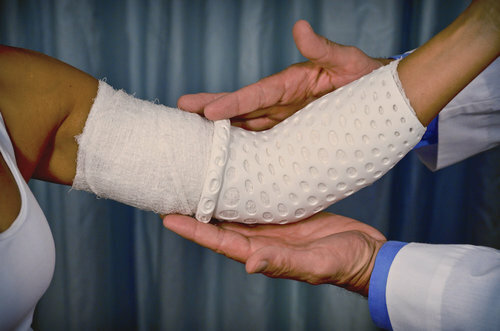 Nu Bandage is an advanced microbial-resistant, compression and securement device. Easy-to-apply, reusable on the same patient, non-woven and not made with natural rubber latex. Ideal for managing all wounds and burns. Nu Bandage is used to help manage the following: diabetic ulcers, neuropathic ulcers, recalcitrant wounds, chronic wounds, venous stasis ulcers, arterial insufficiency ulcers, traumatic wounds, skin tears, first- and second-degree burns, skin grafts (donor and recipient sites), upper and lower extremity surgical procedures, knee procedures, amputation (stump) procedures and head procedures. Available in low, medium and high compression. Circumference range: 20cm-40cm. 2"x5", 2"x10". Solid or vented.